How cute are these! 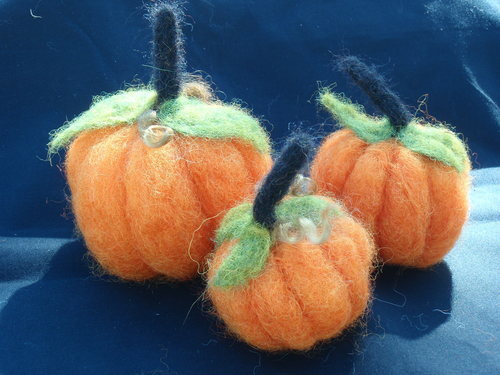 These needlefelted pumpkins are made from alpaca roving with angora locks used to create the pumpkin vine tendrils. A great fall decoration that will last for years. Lightweight and will not break if you drop them. As the pumpkins are hand made there is some variation in the size of each individual pumpkin. 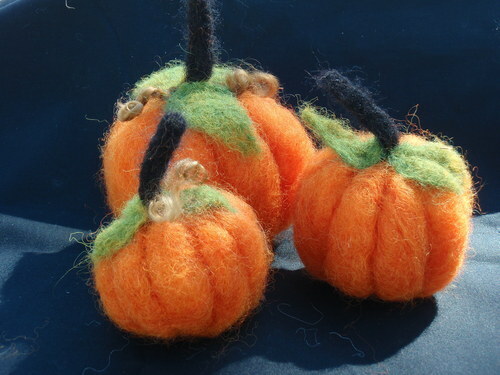 The mini pumpkin measures 2 1/2" inches in diameter or less. Combine the mini pumpkin with a small and medium pumpkin (see our other listings) for a nice display group. A fun gift for your favorite Thanksgiving host or hostess!